I spent a lot of time researching battery's for my car as i have a 150 watt audio amplifier installed in the car. 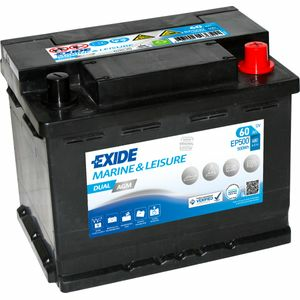 I have had the battery a month now and this battery performs well powering both the the car electrics and the audio amplifier. I frequently use the amplifier for short periods without the engine running, I also monitor the battery voltage with a display in the car and the voltage has not dipped below 12.3 volts without the engine running. I drive about 200 miles per week on my commute and this keeps the battery topped up. While researching a supplier for the battery Tanya was very competitive on price but I had reservations about their ability to deliver due to a lot of reviews complaining about the courier service. I decided to give Tanya a chance and they didn't disappoint, the battery arrived on time and the courier gave me an estimated time to within one hour and then delivered within that time frame.